Q: Is there a way to download Acrobat Flash Player and Acrobat Reader to my 64-bit version of Windows? If I can’t use those programs on my 64-bit version of Windows, can I change my Windows version to 32-bit? A: Windows comes in both 32-bit and 64-bit versions. Your 64-bit version of Windows can download and run the 32-bit version of Adobe Reader without any problem. Adobe offers Adobe Reader 32-bit program for free on its Web site. As for Flash, Adobe doesn’t yet make a Flash player for a 64-bit browser. Adobe has really dropped the ball on this one. Perhaps they’ve tired of patching all of its security flaws. However, your 64-bit version of Windows comes with both the 32-bit and the 64-bit version of Internet Explorer. By running the 32-bit version of Internet Explorer on your 64-bit computer, you can still view Flash on the Web. 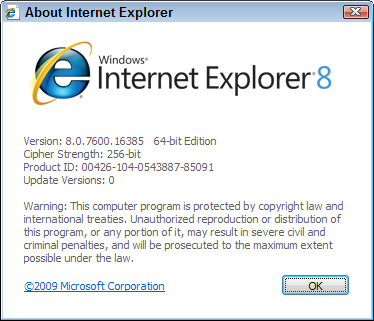 The 64-bit version of Internet Explorer runs only when you choose “Internet Explorer (64-bit)” from the Start menu. Not sure which version of Internet Explorer you’re running? Then click “About Internet Explorer” from the browser’s Help menu. If you don’t see the words “64-bit” listed (shown to the left), then you’re running the 32-bit version. As for changing your 64-bit version of Windows to the 32-bit version, that’s another ball of wax. In short, it’s a huge chore, and you probably wouldn’t be able to harness the full power of your current computer. The 64-bit version of Windows is the way of the future, and Adobe’s Flash will soon be pushed aside. 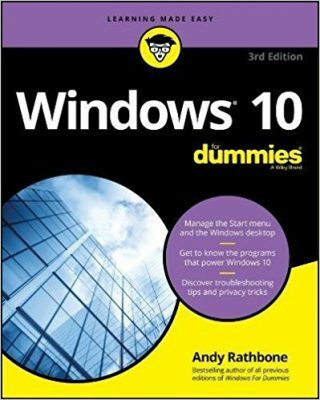 Posted: July 19th, 2010 under Internet, Windows 7, Windows Vista.